This hive will need more candy soon. 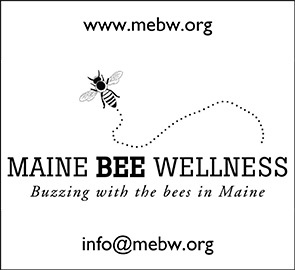 • Have you renewed your Maine State Beekeepers Membership for the year? • Check colony conditions. If honey reserves are low, feed candy or dry sugar. • Colonies that consume feed should be monitored and fed as needed. • Feed protein supplements (pollen substitute) for brood production to colonies you are planning to split. Make sure they have sufficient honey stores. They will go through stores much more rapidly as they engage in brood rearing. • If you are new to beekeeping attend a local bee club meeting and/or sign up for a beginning bee school. If you have a few seasons under your belt, share your experiences with new beekeepers at a club meeting. Sign up for an intermediate bee school. • If you find or suspect your bees have died see Hive Autopsy Chart to help you determine the (possible) cause of death and learn for next season.